When your septic tank is backed up, you’re probably more focused on taking care of the problem and less worried about why it happened in the first place. To reduce your chances of experiencing the same issue again, do yourself a favor and get to know some of the most common reasons for a septic tank backup. No matter how great garbage disposals are, they aren’t ideal in every home, especially those with a septic system. This is because debris that’s only partially broken down can block the flow in the pipes. There’s also the possibility of gunk collecting in the tank, which requires frequent pumping. Tree roots digging their way close to a septic tank can actually grow inside the tank and pipes. When that happens, debris flowing through the pipes can become stuck on the roots and trigger a backup. 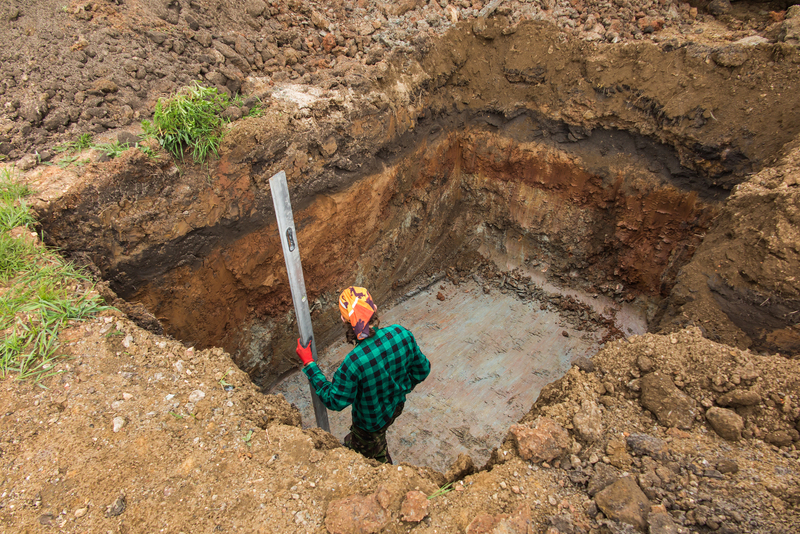 Find out where your septic tank is in relation to any trees growing on your property to see how likely it may be that the roots could dig their way into the tank or the drain field pipes, leading to a septic tank backup. If you drive a hefty passenger vehicle or roll heavy equipment over your septic system, there’s a chance you can press the earth over the tank and pipes down enough to cause damage. Should you decide to do any type of construction project on your property or anything else that requires heavy machinery, be sure to steer clear of the area over the septic tank and pipes. Even if a cleansing cloth, paper towel or baby wipe label says that it’s flushable, it’s best that you throw it into the trash anyway. Such products have proven hazardous to septic tanks, causing them to become backed up over time. If you ever experience a septic tank backup or suspect your tank could be backed up, have a professional take care of the job. Additionally, be sure to ask about additional backup prevention tips.